Helsingborg is part of Greater Copenhagen, a business partnership consisting of 85 municipalities and four regions: Skåne, Sjælland, Halland and the Capital. a common metropolis: Greater Copenhagen. We are working for increased growth and more jobs. The work is headed by Greater Copenhagen Committee. Greater Copenhagen is the largest of Scandinavia’s recruitment areas for highly skilled workers. The region is one of northern Europe’s most knowledge-intensive, with top tier institutions, unique research focus in close co-operation with the business world and on top of this, two world-class material research centres; the European Spallation Source (ESS) and MAX IV. Copenhagen Airport is one of Northern Europe’s favourite airports and serves 29 million passengers per year. An ambitious project for the future was launched a few years ago and is now in full action. The plan is to expand the airport so that it can host as many as 40 million passengers per year, double in physical size and create 8,700 new jobs at or around the airport. In the future you’ll have access to 85 % of the world’s GDP with direct flights from Copenhagen. 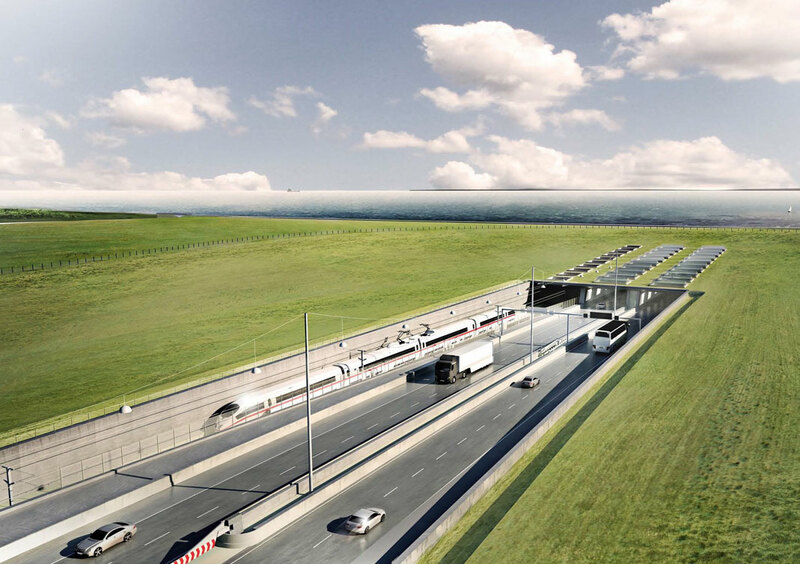 The Fehmarn Bbelt, the tunnel link between Denmark and Germany, is estimated to open to train and automobile traffic in 2028. This link will play a big role in Sweden and Denmark’s commerce as it creates a new opportunity for international transport. The journey for freight and public transport trains between Hamburg and Scandinavia will be reduced by 160 km compared to the distance today. The West Coast track links Gothenburg, Helsingborg, Lund and Malmö; and by extension, Oslo and Copenhagen too. It’s important for the region’s development that the entirety of the West Coast track becomes a double track, as per the 85 % which is already. The primary benefit of this is that there will be more trains travelling at higher speeds and fewer possible reasons for delays to occur. With a double track through Helsingborg (both Ängelholm-Maria and Maria-Helsingborg C), the number of trains can be increased from 8 trains per hour to as many as 30-40 trains per hour. This yields the potential for more frequent departures for public transport trains and better commuting opportunities. 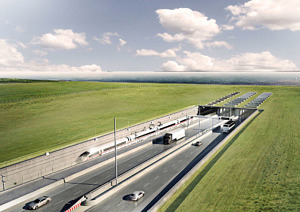 The Ängelholm-Maria track is expected to be open for traffic in 2024. The last single-track stretch, between Helsingborg C and Maria, is projected to be open in the early 2030s. This stretch of track will be connected to a new part of Helsingborg Central Station and a future railway tunnel between Helsingborg and Helsingör. A fixed rail and motorway link between Helsingborg and Helsingör is important for the entirety of Scandinavia and a key component in a robust and sustainable transport infrastructure. It provides good opportunities to live on one side of the strait and work on the other; and when the train journey between Helsingborg and Copenhagen only takes around 40 minutes, a larger workforce integration will undoubtedly follow, along with a larger residential market and better access to education, research, culture and entertainment. According to Region Scania, this connection to approximately 110,000 more people in northern Scania and southern Halland provides a much larger, accessible labour market along with positive effects for the companies that operate in the area. Ongoing investigatory work will be presented in a final report in 2020. 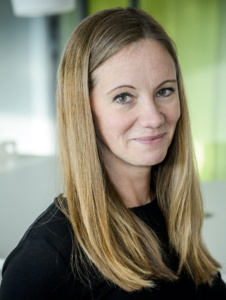 Øresunddirektbusiness.com provides information for those who want to take their business from Denmark to Sweden or vice versa.